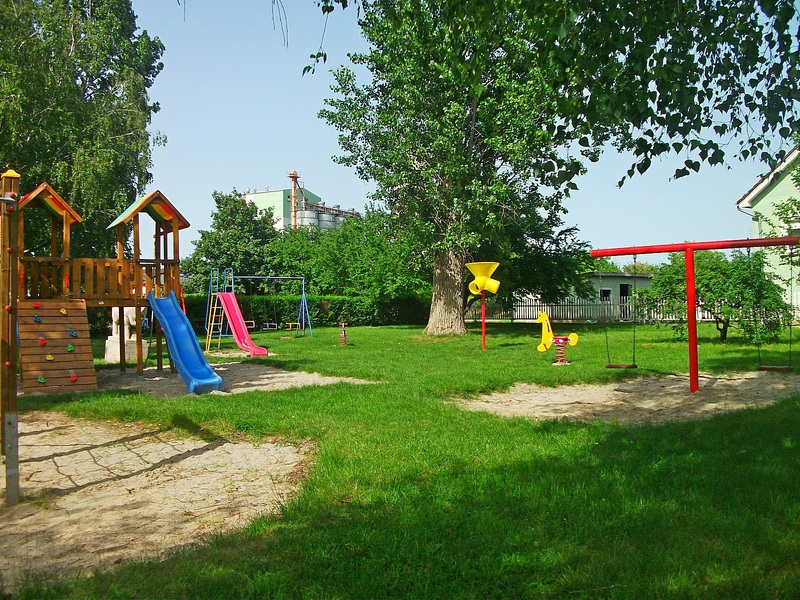 (Beyond Pesticides, July 10, 2015) The Connecticut General Assembly last week passed legislation banning toxic lawn pesticides on municipal playgrounds, effective October 1, 2015. In the omnibus budget implementation Bill 1502 at Section 448 (p.563 at line 17579). The bill also improves the existing parents’ pesticide notification system by requiring school districts to provide at least 24-hour electronic notification any time a pesticide application is schedule to occur on school property (Secs. 445 and 446), as well as requiring and tracking the use of pesticides and integrated pest management (IPM) methods to reduce pesticide use on state properties (Sec. 449). “As we have recognized for many years in Connecticut, children are particularly endangered by pesticides – because these chemicals accumulate in kids’ growing bodies faster than for the rest of us,” said Rep. Andrew Fleischmann, House Chairman of the Education Committee, which drafted the 2005 and 2009 laws prohibiting pesticide use on school fields. “This measure represents a great step forward for our state, safeguarding our children from these toxic chemicals on town playgrounds – and ensuring that parents get notice when pesticides are used at public schools,” he added. In 2005, Connecticut became the first state in the nation to prohibit the use of lawn care pesticides on school athletic fields serving grades K-6 schools and daycare centers. The original law was expanded in 2009 to include middle school fields (Grades 7 and 8). Activists and concerned parents have been working for years in Connecticut to extend the current prohibition of pesticide use to include high schools, athletic fields, municipal parks and town land, but to no avail. Strong opposition from many municipalities and the pesticide industry has prevented the inclusion of language that would extend the ban to high school grounds and fields, despite calls from parents and local activists. Other previous attempts to extend the ban have also fallen short over the years. In 2013, the then-proposed Bill 6385 to extend a pesticide ban from pre-K through eighth grade to include high schools stalled and a task force to study pesticides was set up, despite a favorable vote in the education committee to move the bill along. Another bill to extend the ban, which also included a ban on the use of genetically engineered (GE) lawn and turf seed, passed the Senate last year, but was eventually stalled in the House. There have even been attempts to repeal the existing ban for daycare centers and K-8 schools, with legislation allowing pesticide use as part of a weak “integrated pest management” (IPM) system. Current state law, adopted in 2005 and amended in 2007 and 2009 to cover facilities from day care centers up through grade 8, prohibits pesticides on playgrounds and playing fields at schools (except under emergency situations), allowing instead for non-toxic pest and fertility management. Industry groups and local land managers advance the myth that banning pesticides from fields would cost schools and municipalities more money because of pest damage and could make playing fields hazardous. However, these myths have been debunked by studies and real world successes of organically managed fields. First, fields that are intensively managed with chemicals are at greater risk for disease and weed infestation (leading to a dependence on chemical inputs), compared with those whose practices build healthy, balanced soil. Similarly, chemically-managed fields are generally harder and more compacted due to a loss of natural soil biology, while organic management focuses on cultural practices, such as aeration, that alleviates compaction and provides a softer, better playing surface. Any field with irregular surfaces, whether organically managed or not, can lead to falls or twisted ankles. Banning pesticides from playing fields also will not cost more in the long-term. While initial costs to transition a chemical-dependent field to organic care can be higher, in the long-run costs will be lower as inputs, like fertilizer and water, decrease, along with the absence of the cost of annual chemical treatments. Read the factsheet: Pesticides and Playing Fields. The need for legislation to protect vulnerable children from the hazards of toxic pesticides is clear. Studies show that pesticides are associated with several human health risks including cancer, learning/behavioral disabilities and reproductive and sexual dysfunction. The Pesticide-Induced Disease Database documents the association between pesticide exposures and the onset of disease. This is supported by the findings of the American Academy of Pediatrics, which concluded in December 2012 that, “Children encounter pesticides daily and have unique susceptibilities to their potential toxicity.” The report went on to discuss how kids are exposed to pesticides every day in air, food, dust, and soil. Children also frequently come into contact with pesticide residue on pets and after lawn, garden, or household pesticide applications.